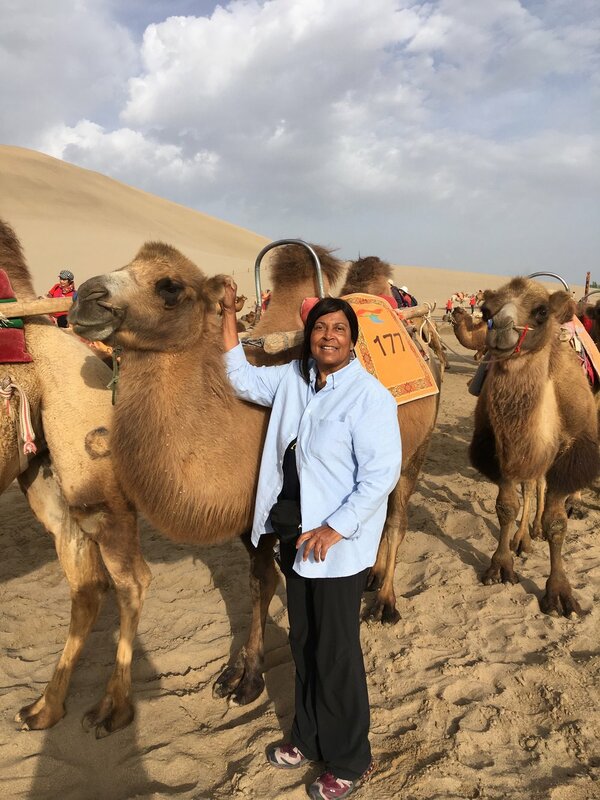 Dr. Davis takes you on a journey of her travels and shares stories . . .
During my trip to Mongolia (Sept. 2016), I hiked to a Buddhist Meditation Center in Gorkhi Terelj National Park. During the communist takeover of Mongolia in the 1930s, Buddhism was almost wiped out. When once there were more than 800 temples, less than 30 remain. Buddhism is making a resurgence nowadays. I was going to see the Eagle Hunters’ Festival in western Mongolia in Olgii. 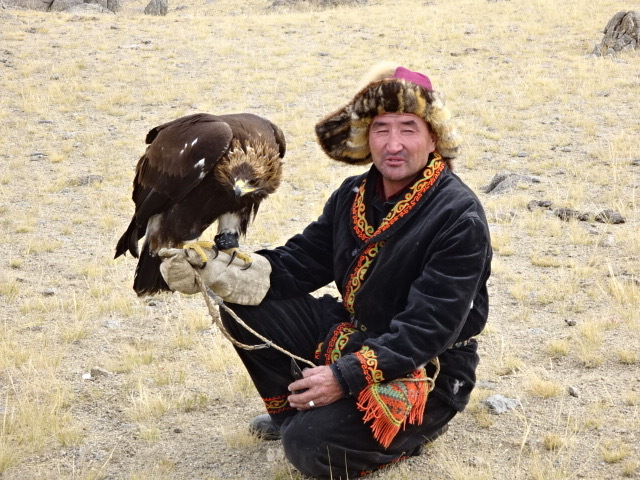 The Kazakh nomads in Mongolia are the last ethnic group to continue to train golden eagles and to hunt with them on horseback. The hat is made from scores of foxes who have that striped fur only on their forelegs. 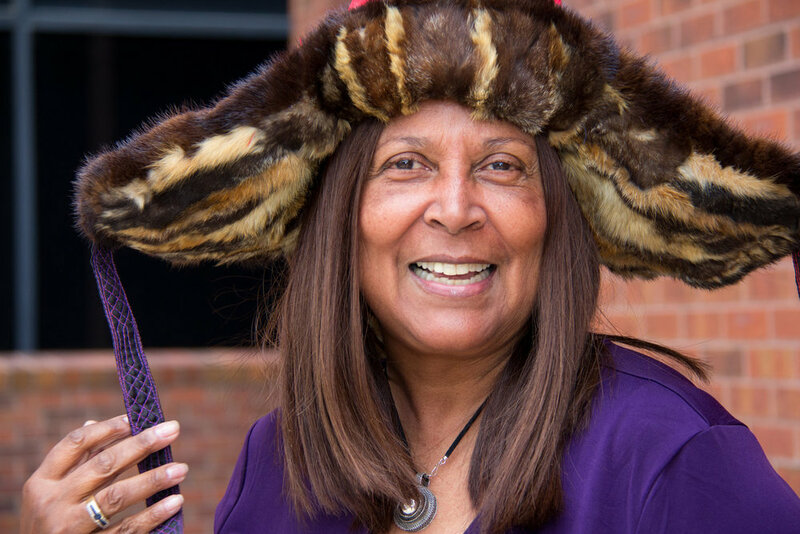 The hat is made by the wife of the eagle hunter and is not a tourist item. Our little group pitched our gers (yurts) close to the family of the first female Mongolian girl to win at the Eagle Hunters festival in 2014. Her father, Agalai, took us hunting on horseback. He showed us how he trained the eagle and put her through her paces. Agalai placed the golden eagle on my arm. Wow, was she heavy! You could feel the long talons of the eagle gripping mightily through the thick gloves. The eagle’s beak could tear you apart. I was acutely aware that female golden eagles do not necessarily like human females. I probably know more about the British explorers during the “Great Game” espionage exploits of the 19th century because their reports of clandestine secret adventures were the only books available in the second-hand book stores of Chandi Chowk in New Delhi. Before heading to my remote northern districts in West Bengal state, I would buy ten tomes to take with me to read at night by my red Chinese kerosene lantern. And that’s how my interests developed in that wild country in Central Asia from India along the ancient trade routes to Samarkand, Bokhara, Kashgar, Turgat, Lhasa, Urumqi, and Xian. Dunhuang used to be a remote outpost in NW China and a major oasis on the Silk Road. It’s situated between the Gobi Desert on the East, and the Taklamakan Desert on the West. The Taklamakan persists as a treacherous desert (its meaning “if you go in, you don’t come out”). My interest was in visiting the World Heritage site of the Caves of 1000 Buddhas. There are exquisite paintings on the walls of these sandstone caves, created between the 4th and the 14 centuries when these oases used to be Buddhist. The old khanates were overrun by Muslim hordes and the current day countries in Central Asia are all nominally Muslim. It’s impressive when you see your first glimpse of the sandstone cliffs and the caves. The sand dunes around the caves are fascinating. So it’s clear why China has erected a pagoda and a man made lake in the dunes. It draws people away from the Caves, and provides an area where they can go camel riding and sand surfing. This is the two humped Bactrian camel that took me into the dunes. These camels seem “heavier footed” than the one humped Arabian dromedary camels that I rode in the Indian desert in Rajasthan. Kashgar is located in Xinjiang region of China nowadays. The Qighur Muslim minority live here and are being persecuted by the Chinese. One million Qighur are reportedly being held in “re-education camps.” Note my Qighur hat. Qighur hats are worn by both sexes but have different designs and colors. These are in the Urumqi museum. Scene from the market. Due to surveillance by cameras and control points, there were not many locals.